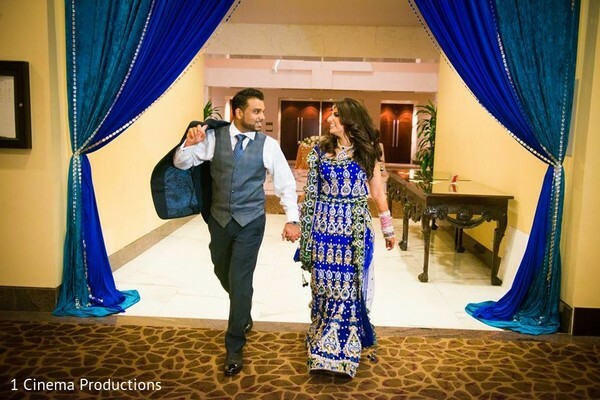 Maharanis, if your Indian wedding dream includes an extravagant reception filled with sophistication and style, then the Hilton Houston Post Oak, in Texas, is the venue for you! 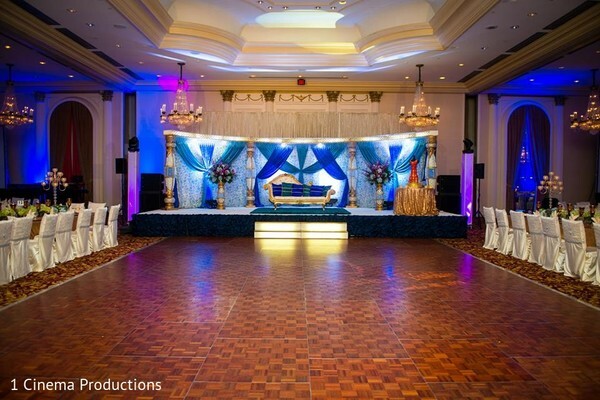 1 Cinema Productions takes us inside the grand ballroom where sensational chandeliers, a spacious dance floor and an elegant dining area are just some of its highlights. 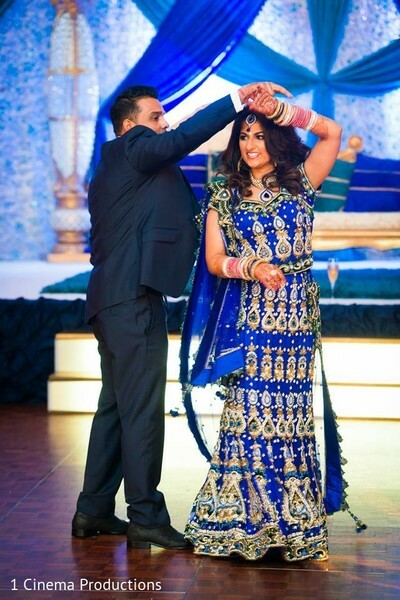 Our newlywed bride looks breathtaking in her long, flowing, blue lengha. Blush and Glow gives her loose curls and sultry smokey eyes for this fun-filled affair. 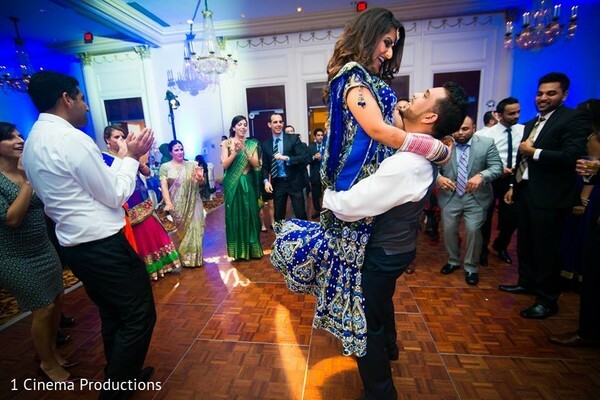 Her new hubby is all smiles in his tailored grey suit as he dances the night away with the love of his life. 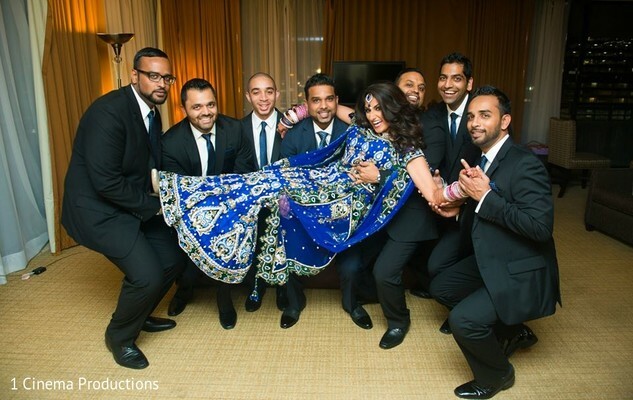 Guests were treated to great music by Desi Junction DJs, and delicious cuisine by Bombay Brasserie. Still want more? Then, visit the gallery to see more of this amazing event—planned and designed by Lion & Lamb Event Services! 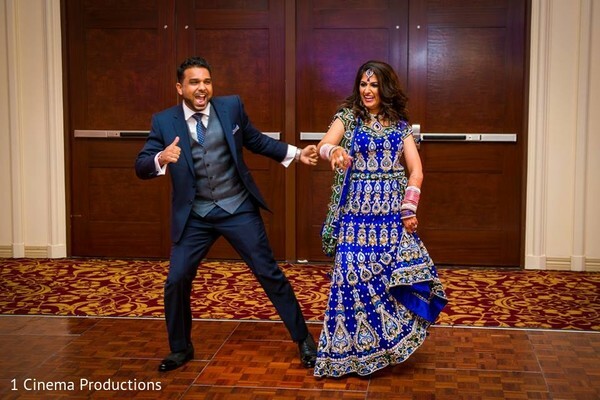 Hope you enjoyed this wedding as much as I did! 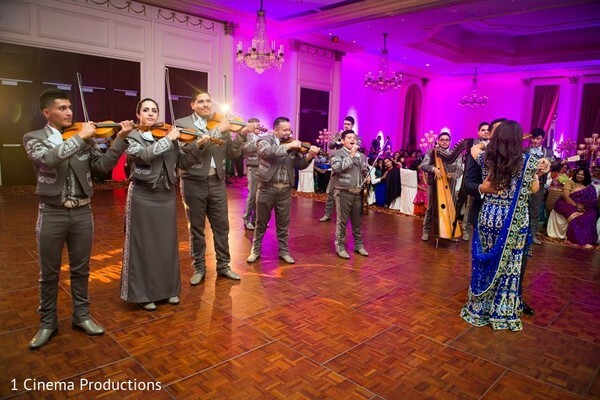 Hilton Houston Post Oak, Sobi Qazi Design House and Mandap Creations are members of the Platinum Guide. Love what you see? Explore their portfolios.